When you are struggling to make ends meet, and you don’t really have the time to work another full-time or part-time job, the internet can be your best friend. Financial decisions can be really hard to make, but if there is little to no risk associated with the decision, go for it. 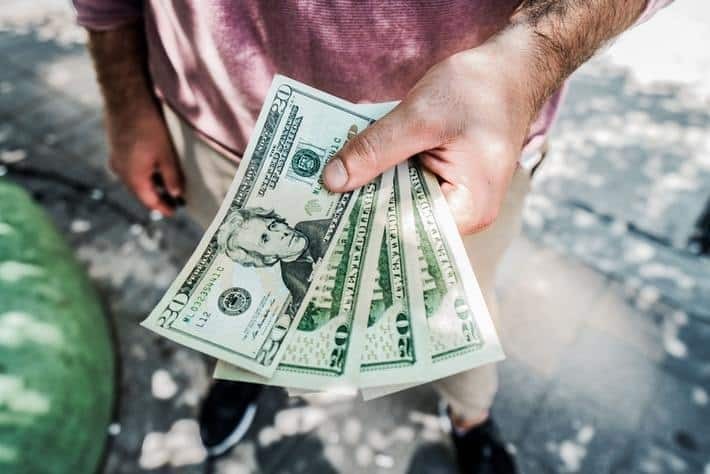 Work your way through this list of ways to increase your income over the next few months, and watch your pockets grow. It is important that you know exactly what you are spending and when. Track every dollar that you make and every dollar that you spend, to be really effective. Budget yourself to ensure that you are only spending what you are supposed to, and when it is absolutely necessary. Increase or start making contributions to your 401k. A small boost to your contribution can make a world of difference, overtime. Whether it’s a 1%, 5%, or 10% addition, every little bit helps. It’d be even better if your employer offered a program where they matched employee contributions. That way your contributions are being doubled. Some companies do cap their contributions at a certain amount, but hey, take what you can get, it is free. Lower a few of your monthly bills. Negotiate. Most companies will allow you to negotiate your monthly payments. If you speak with a representative and inform them of your financial situation, most of them may be willing to decrease your monthly payments to something more reasonable for you–especially, if they see that you have made your payments in full and on time in the past with them. Paying your bills on time is extremely important. Not only does this look good to other credit lenders, who you may want to open a line of credit with, it keeps your bills out of collections. And once a debt is sent to a collections agency, it will have a negative effect on your credit score. Pay extra on your debts. In 2017, the average household had $131,431 worth of debt. The debts are brought on by credit cards, mortgages, vehicle loans, student loans, and much more. The credit card portion of that debt is $15,654. Paying an extra payment towards a debt, instead of spending it frivolously on something you don’t really need, will definitely help you out in the long run. The more you pay, the less will be hanging over your head, and the quicker you may get towards your financial freedom. This may not seem like it will save you money, like paying extra on your student loan or electric bill, but it will. Imagine being part of a two-income family and suddenly, the primary bread winner passes away. Not only will you have to deal with the loss emotionally, you will have to deal with it financially. You will have to deal with their final debts. Plus, funerals are really expensive. What if your spouse didn’t have life insurance? Your family may be ruined financially trying to deal with all of that. Life insurance is a necessity and it can save you from additional headaches and heartaches. Sell the things you don’t want, need, or use anymore. Not only will selling some stuff free up some clutter in your home, it will put some extra money in your pocket whether you decide to have a yard sale, a garage sale, or start selling stuff on an online marketplace, as long as it is selling is the key. Cable bills can be high depending on the extra packages and channels you have to enjoy your time on the couch. Most cable bills are over $100 per month. However, with streaming services like Hulu, Netflix, Amazon Prime, and YouTube you really don’t even need cable anymore. Plus, your monthly subscriptions to all of these services will likely be less than your actual monthly cable bill. Wait 48 hours before you click “place order”. Having the world at our fingertips, is not always good for the person who wishes to save money. It’s really tempting to fill an online cart up full of things and put the entire order on a credit card. Because you are trying to save money, try waiting 48 hours before placing an online shopping order. The time will allow you to sort through your wants and needs. Why pay for things, when you can make them yourself for less? We have to get out of the notion of instant gratification, and actually start back working for the things we want and need. Whether it’s choosing to mow your own lawn instead of hiring a service, or growing your own herbs, instead of buying them from a grocery chain, every little bit helps. Sign up to drive for a ride-sharing company. When driving for ride sharing companies you are not considered a regular employee, you are solely an independent contractor. With that said, you are free to make your own hours and work whenever you want to. Most will require you to pass a background check and will inspect your vehicle to ensure that it meets their standards and requirements. Switch to a no-contract cell phone. Like cable bills, cell phone bills can be expensive. The average cell phone bill for one person starts around $100. Switching to a pre-paid carrier will be a lot cheaper. Most will allow you to keep your current phone, and current phone number. It can be easy to find potential carriers; a simple Google search will point you in the right direction. You can fill out surveys at home when you’re not doing anything too important. Most only take a few minutes to fill out, and payment can range from $5+, per survey. The more questions the survey has, generally, the more it pays. If you have a fairly large social media presence, or run your own website, affiliate marketing may be a painless way for you to make some extra cash. All you do is sign up with an affiliate host, find products you think your subscribers/followers would like, and post them to your site. To make money, someone has to click through the link and make a purchase. Making money is a wonderful thing. Your financial freedom is right around the corner, you just have to go for it.